The Guardian’s report was written by Luke Harding and Dan Collyns and was based exclusively on unnamed sources. So we have Manafort allegedly visiting Assange, in sandy-colored chinos, and that Russians also visited the WikiLeaks founder. And none of this was known until today. Note that The Guardian has considered the “hack” settled, which agrees with Western intelligence assessments (the same Western intelligence that conducted espionage on Donald Trump’s campaign). Nowhere to be found is the possibility that the emails were copied locally – a theory recently bolstered by a fresh analysis that flies in the face of a report commissioned by cybersecurity firm Crowdstrike – which was caught fabricating a report on Russia hacking Ukrainian munitions, and was forced to retract portions of their analysis after the government of Ukraine admonished them. 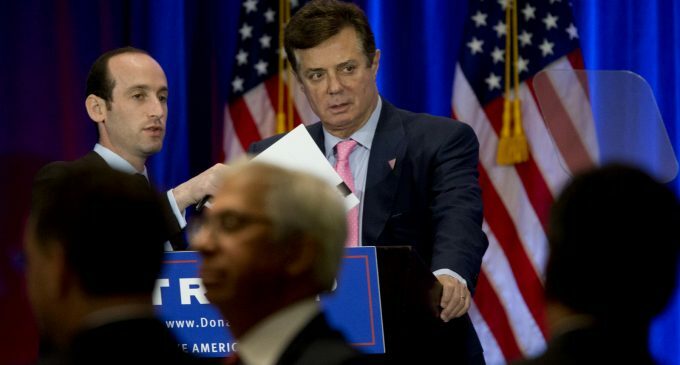 And in perhaps the most shocking part of The Guardian’s reporting, they refer to the highly salacious and largely discredited “Steele Dossier,” saying that according to the document, Manafort was at the center of a “well-developed conspiracy of cooperation” between the Trump campaign and the Kremlin, and that both sides had a mutual interest in defeating Clinton, wrote former MI6 spy Christopher Steele. The post WikiLeaks: Guardian Report Claiming Assange Met with Manafort Untrue appeared first on MintPress News.